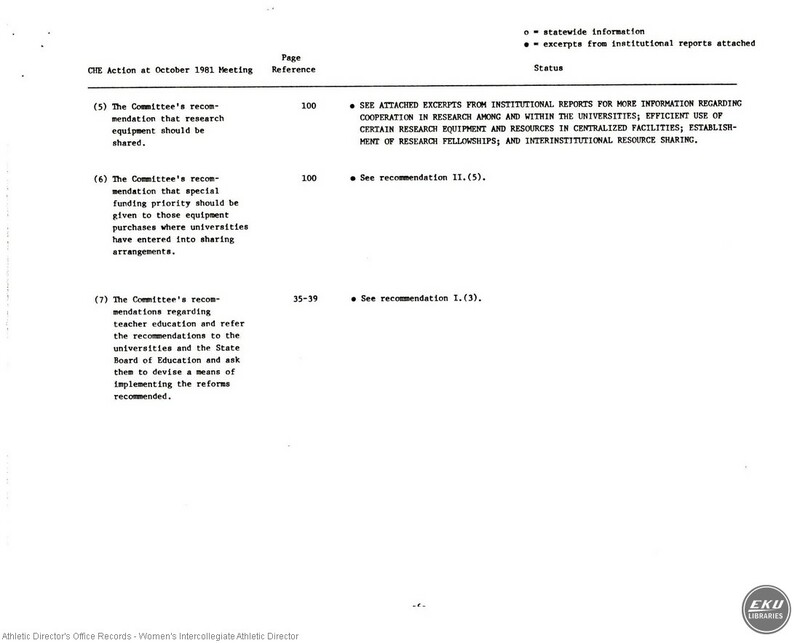 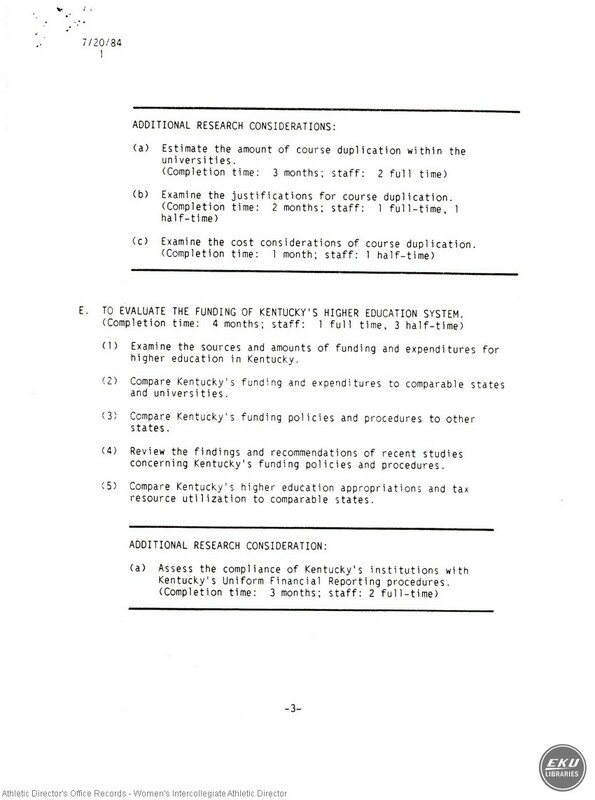 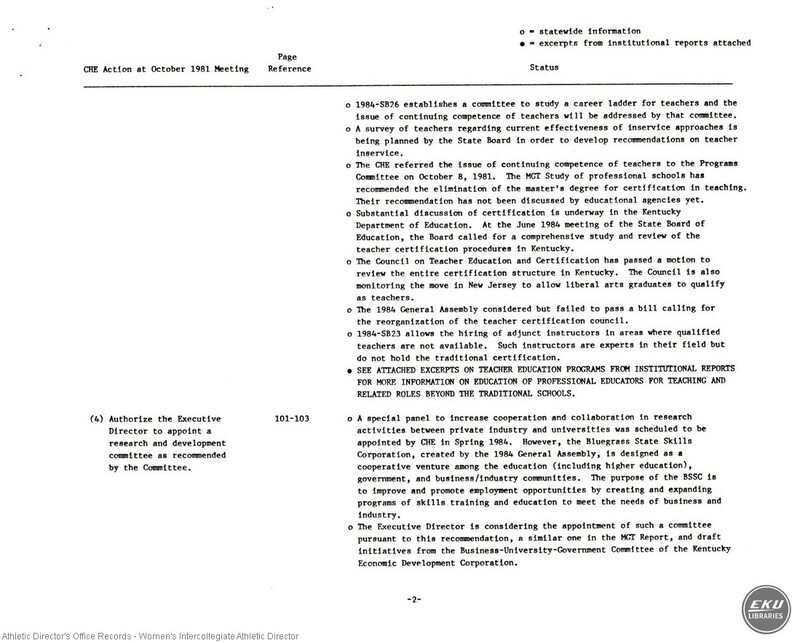 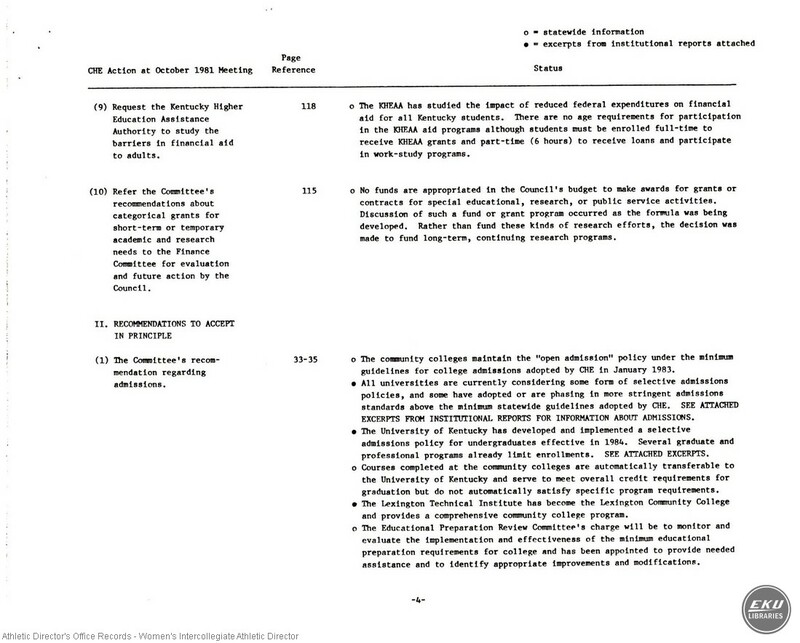 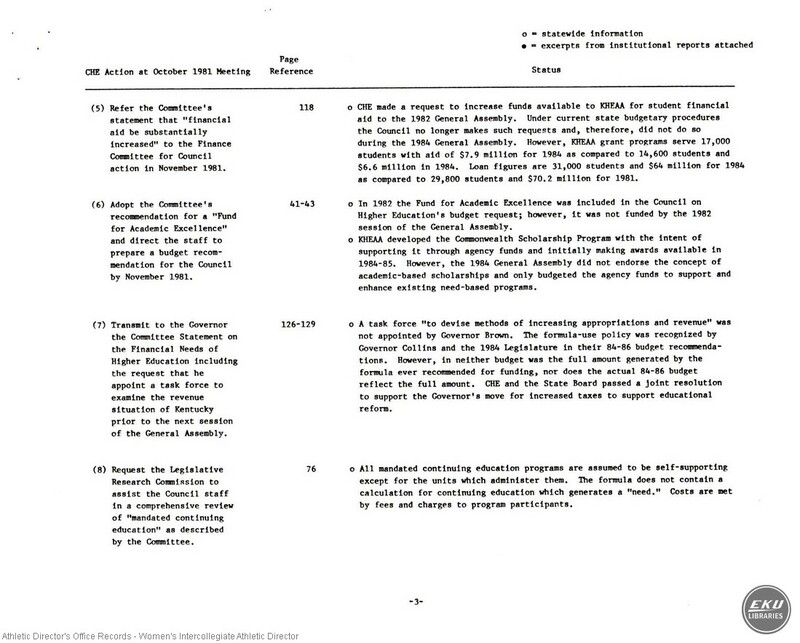 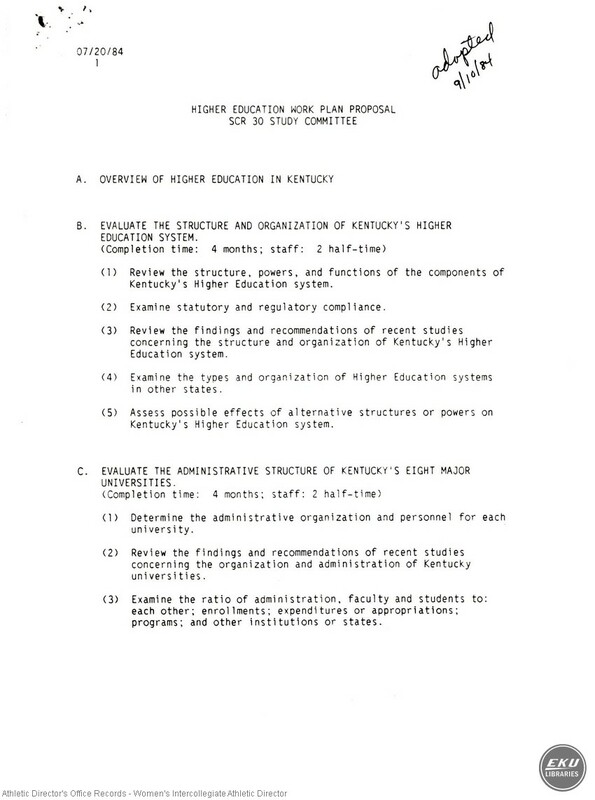 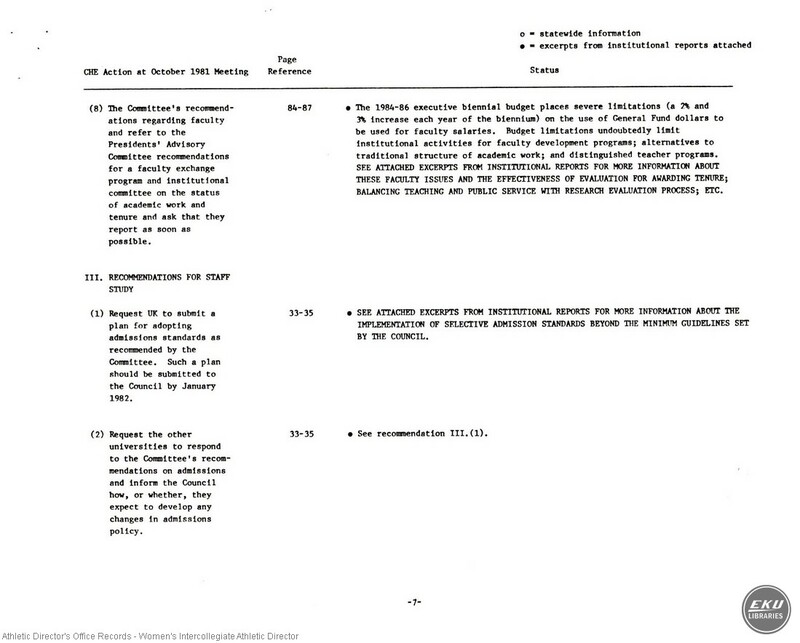 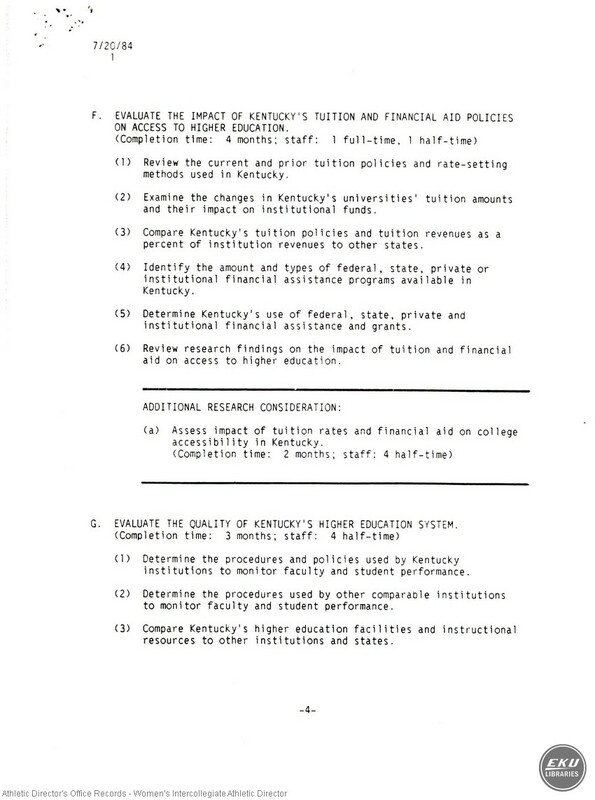 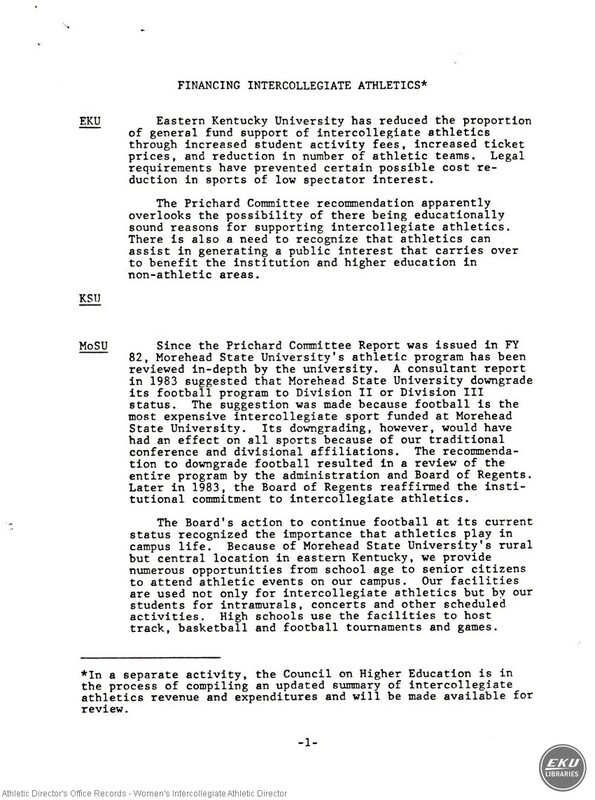 Contains a report on intercollegiate athletic programs in Kentucky, including EKU. 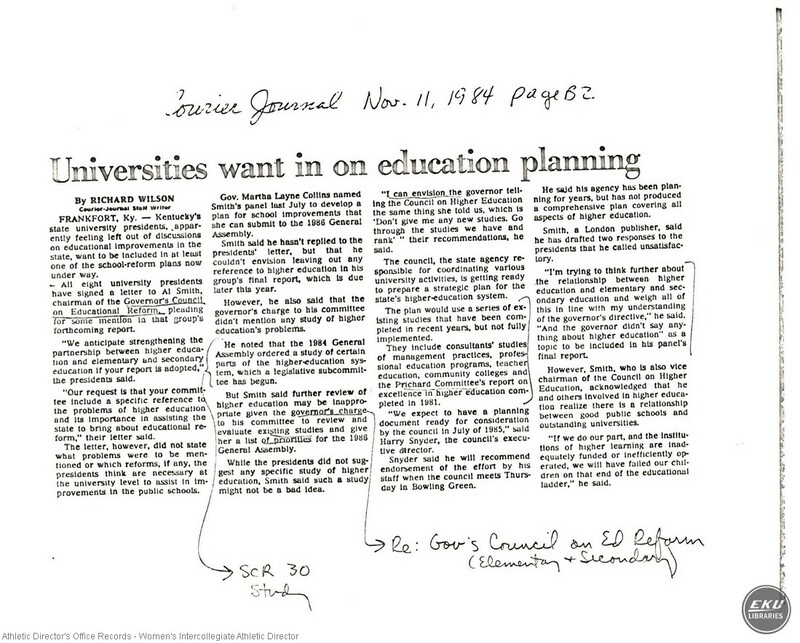 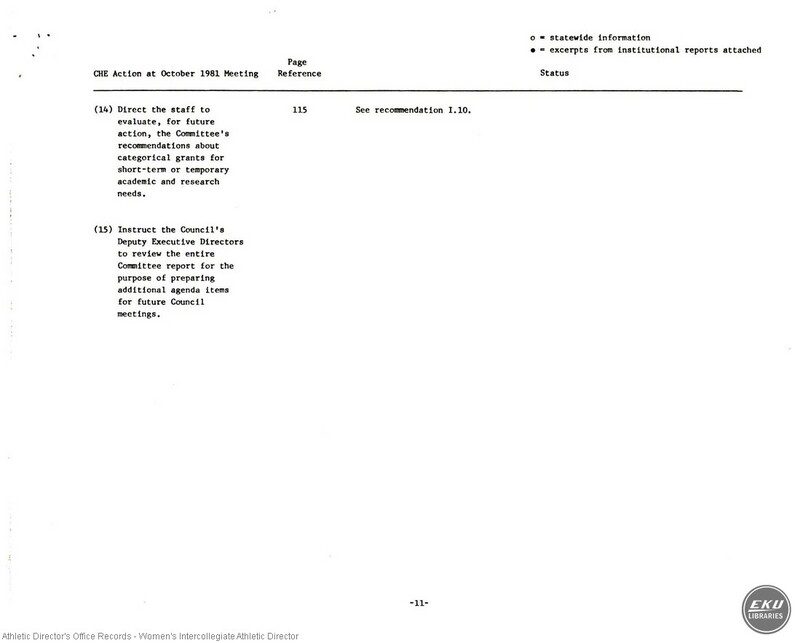 Also includes correspondence and clippings related to the report as well as a handwritten note on an envelope. 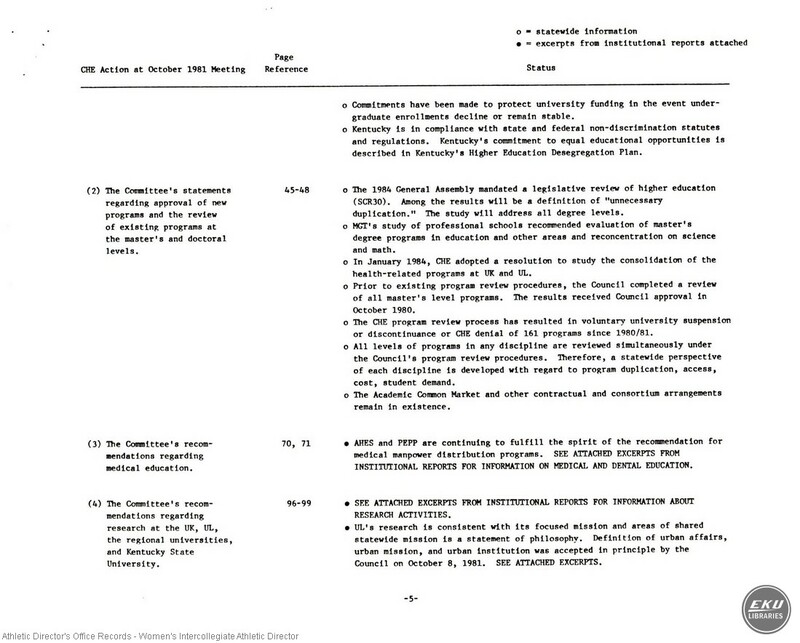 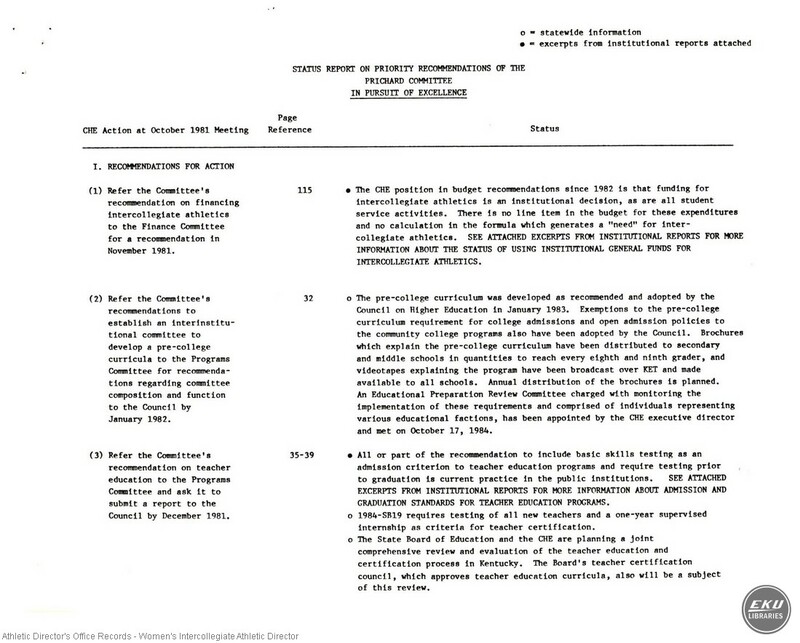 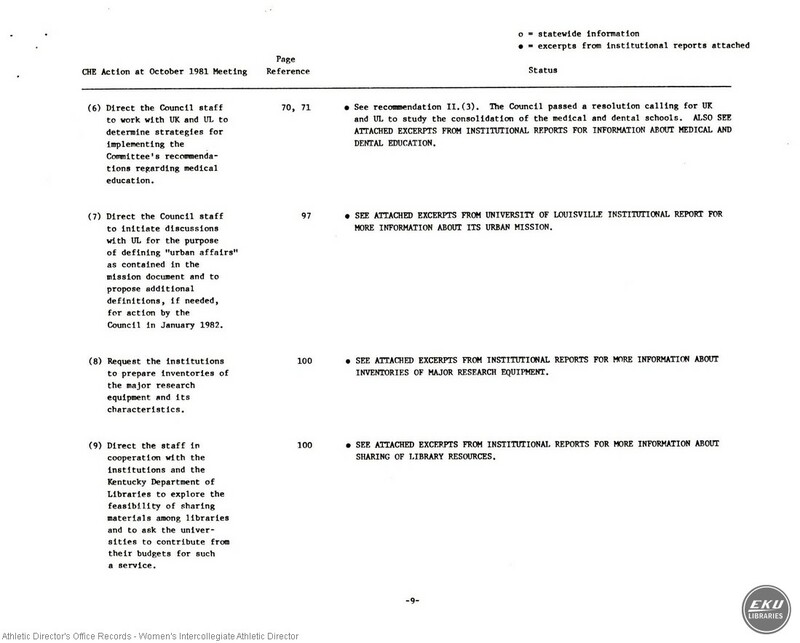 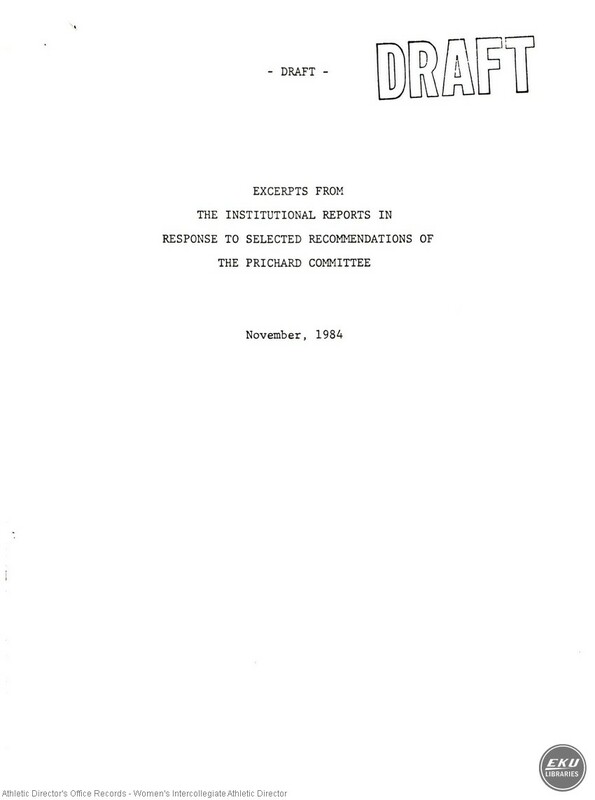 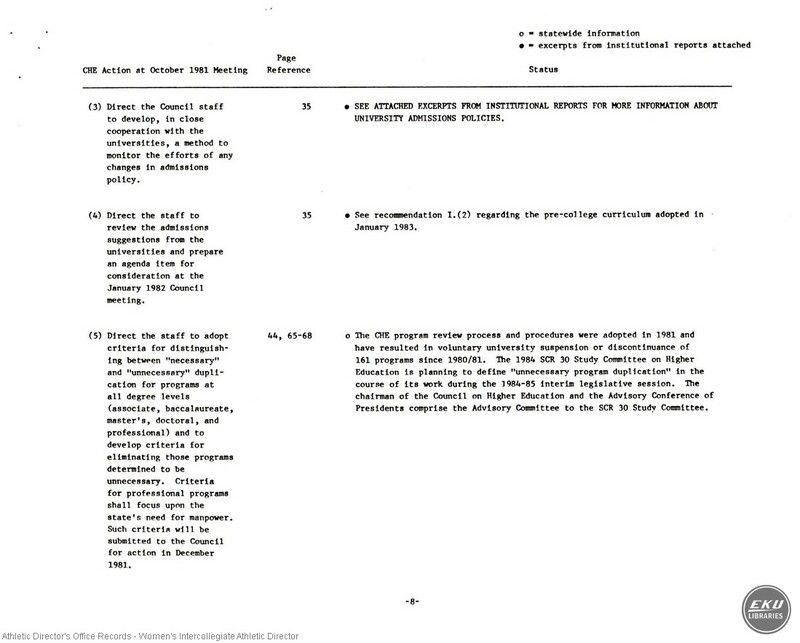 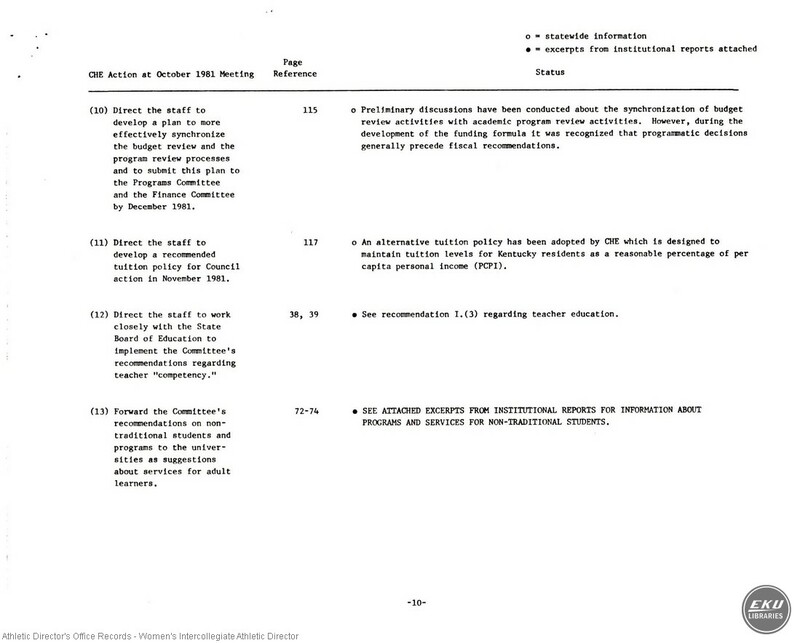 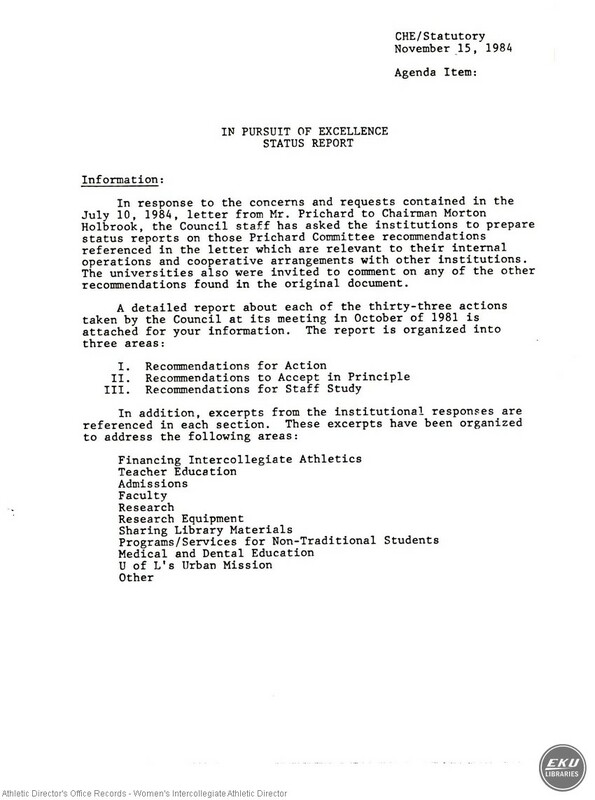 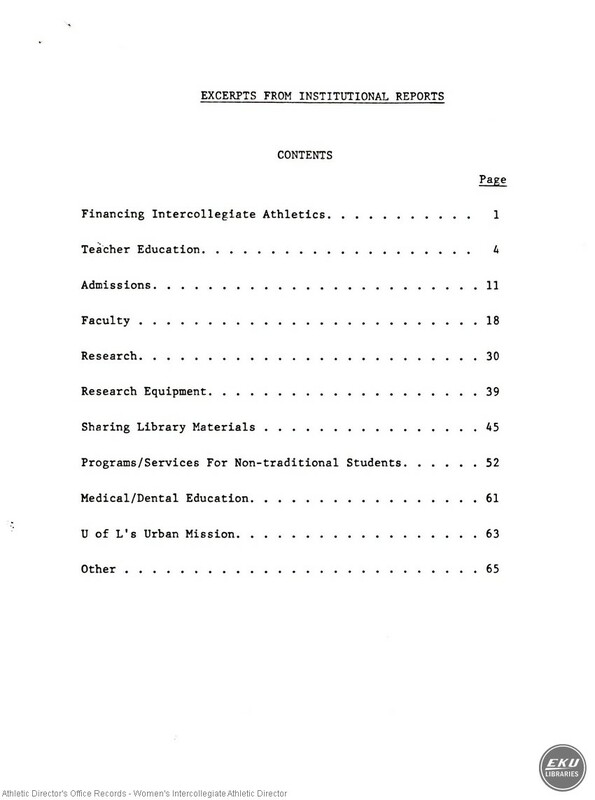 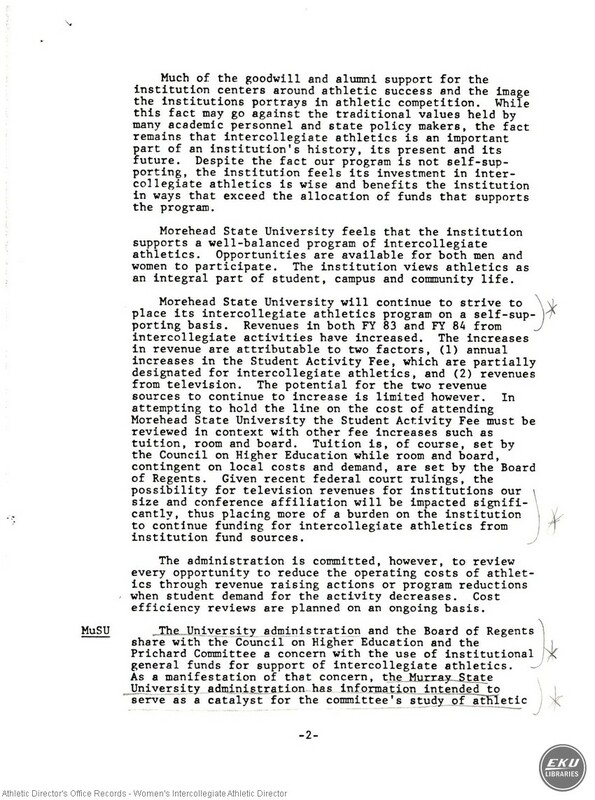 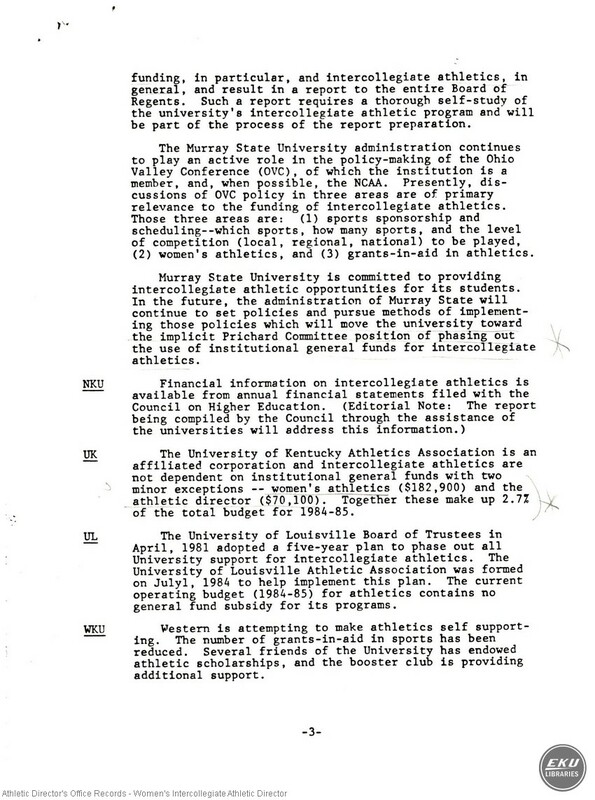 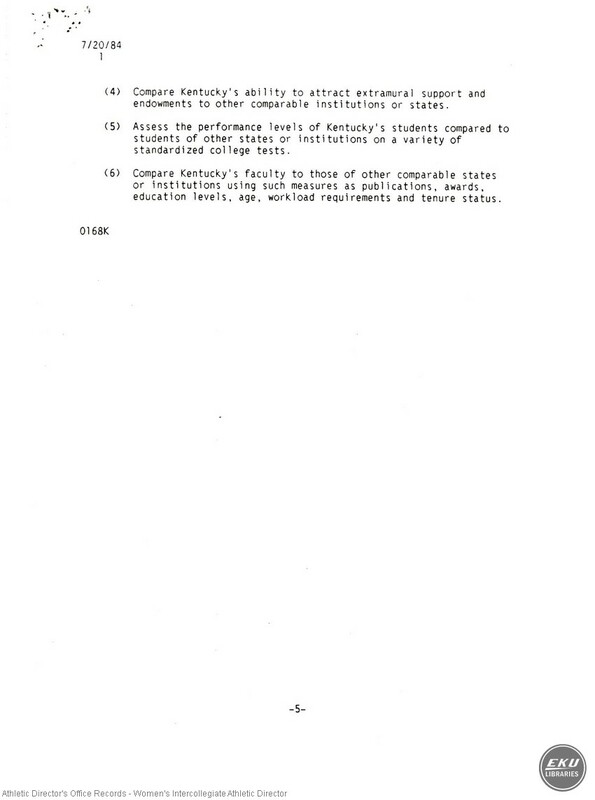 “ Women's Athletics - In Pursuit of Excellence Report,” Digital Collections, accessed April 19, 2019, https://digitalcollections.eku.edu/items/show/12489.